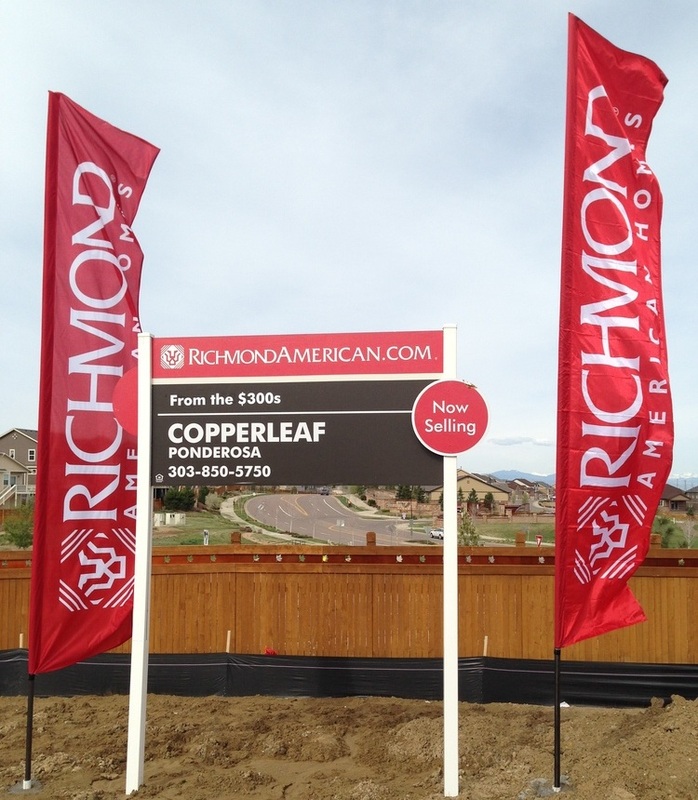 Richmond American Homes is a perfect example of using flags to drive traffic to their models. Their flagpoles fly high, some as tall as 70’! They use a variety of flags including, American Flags, State Flags, Richmond American Homes branded traditional flags, avenue banners, and ViS (or flutter) flags. Custom Flag Company is a national leader in creating opportunities for home builders to showcase their communities by increasing visibility to potential home buyers. Do you want to make your Community Visible? We can help you! Posted on January 24, 2019 by Maddi Griebling.